Only one hour drive from Vienna and you’ll have a perfect day trip! 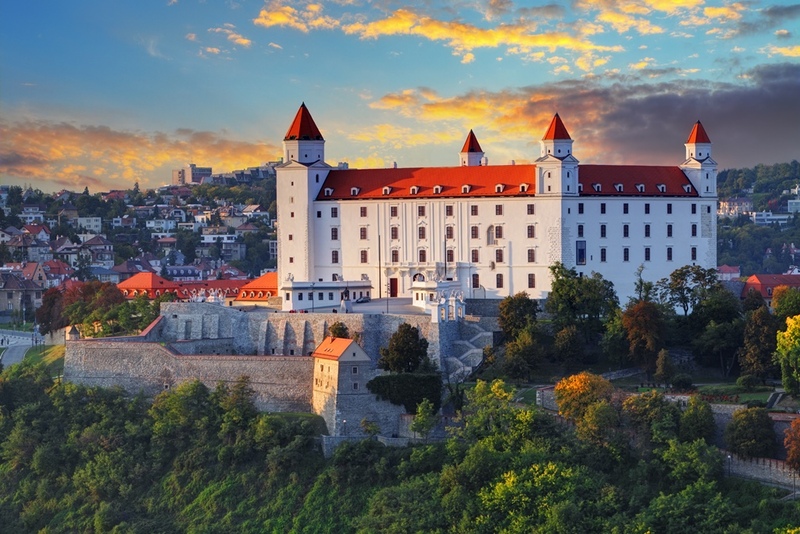 Bratislava, the capital of Slovakia is often overlooked by travellers – not quite sure why because there are many reasons for visiting this charming city. Let’s check which top activities are out there in Bratislava and what not to miss! This iconic castle which overlooks the city has been a national cultural monument since 1961. Situated on a small hill above the Old Town, the castle gives the best view on the city. It takes 15-20 minute of walking to the top of the hill or if you are not really into constant step climbing, you can take a local bus line 203 or 207, the ticket costs less than €1! During summer the visitors have the chance to participate in Shakespeare Festival held in the castle where they get to see some of the most famous works of the English playwright. If you miss the festival, no worries, there are still plenty of things to explore. You can stroll through the Baroque gardens and have a coffee or beer or even a traditional Slovak lunch at Hradna Hviezda restaurant. 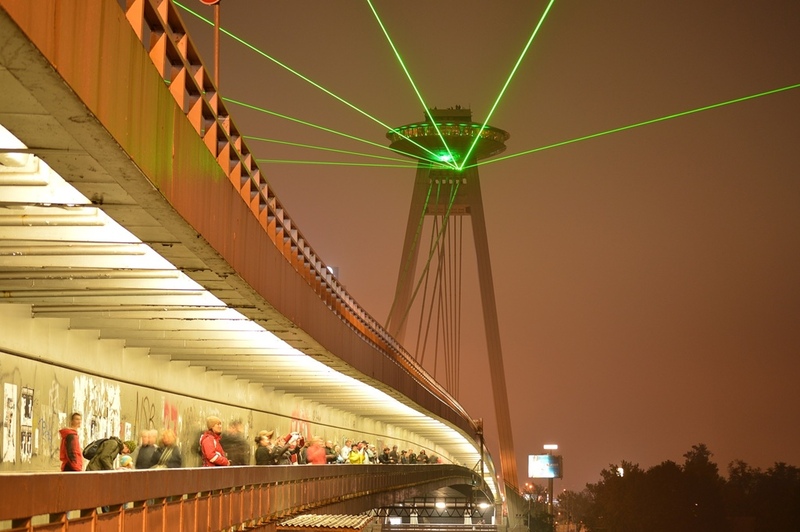 Besides Bratislava Castle, we could say that UFO might as well be the symbol of the city. This observation deck of interesting shape is a must-visit while staying in the capital of Slovakia. 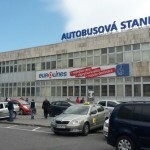 It is located at the beginning of Most Slovenského národného povstania bridge. The deck is positioned on a 95-meter high tower and it can be reached by an elevator lift which can take 10 people at time. Besides observation deck, there’s also a bar and a restaurant where you can try local dishes and have the most stunning view of Bratislava. The entrance fee for the deck is €7.40 but recently it was introduced the Day&Night ticket for €9.90 which allows you to visit the deck twice a day. If there is one thing that Slovak people are extremely good at, it is definitely their tasty cuisine. The most traditional food is sheep cheese called bryndza. This cheese is usually produced in Liptov region but its varieties can be found in entire Slovakia (and Slovakia only, since it is not produced anywhere else). 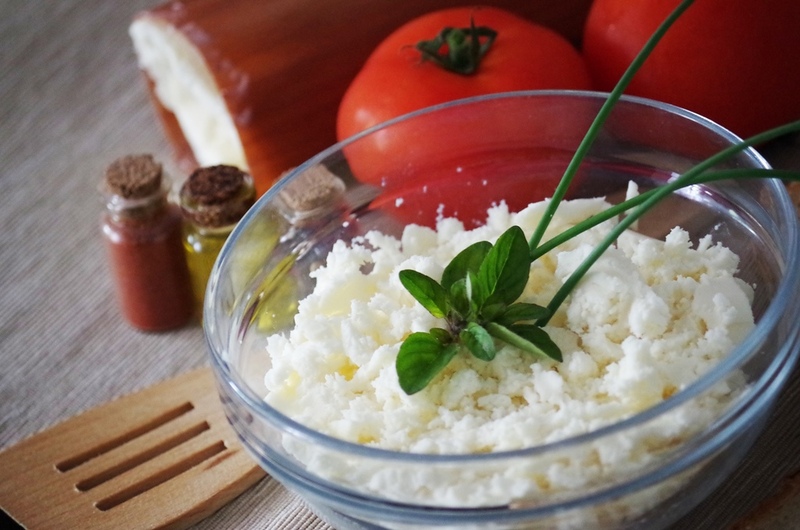 A lot of people compare it to Greek feta cheese, but it is much stronger than feta. National dish with bryndza cheese is a must-try and it’s called brynadzove halušky – small gnocchi with creamy bryndza sauce and crispy bacon. Sounds delicious, right? Don’t miss to try other yummy dishes such as bravčova panenka (pork tenderloin), cesnačka soup (garlic soup often served in a bread bowl), demikát soup (with sheep cheese) or ryžový nákyp (rice cake) if you are more into sweet stuff. Spotting a typical Slovak restaurants will be easy since they usually cabin-like furniture and traditional ornaments. You can get good portions for only €5 at Divny Janko, U Sedliaka or U majora Zemana. 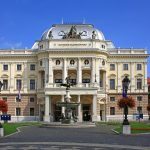 You thought Bratislava Castle was the only one to visit? Wrong! 15 kilometres northwest of Bratislava is situated Devín, a borough in Bratislava IV district. It once used to be a separate village and it maintained it rural look which made Devín become one of the least populated boroughs of Bratislava. 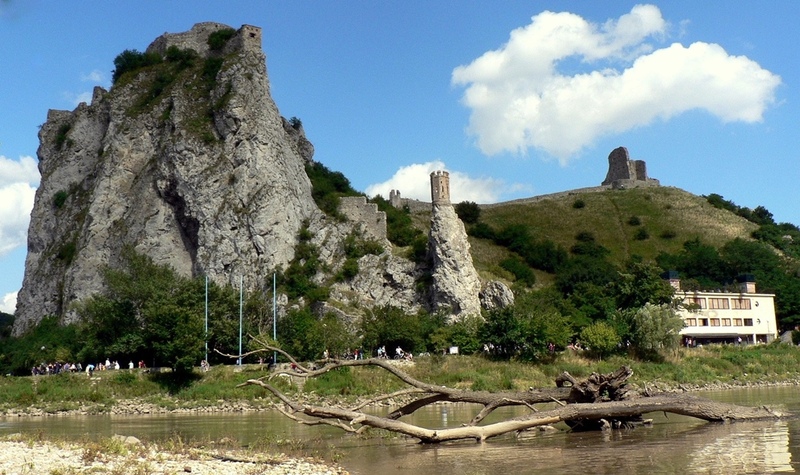 Nevertheless, this tiny village boasts an important archaeological site, the ruins of Devín Castle. Unlike Bratislava Castle, this castle hasn’t been restored and that’s what gives it a unique charm. The entrance ticket for the castle costs €8 and you can get amazing panoramic views of the Danube river and the capital city. There’s also an exhibition displaying history of Bratislava which is available for the visitors. It is very easy to reach Devín Castle from by local bus line 29 from Most SNP station and the journey approximately takes around 20-30 minutes. There’s be a lot of walking up the hill so make sure to stock up on water (and food)! 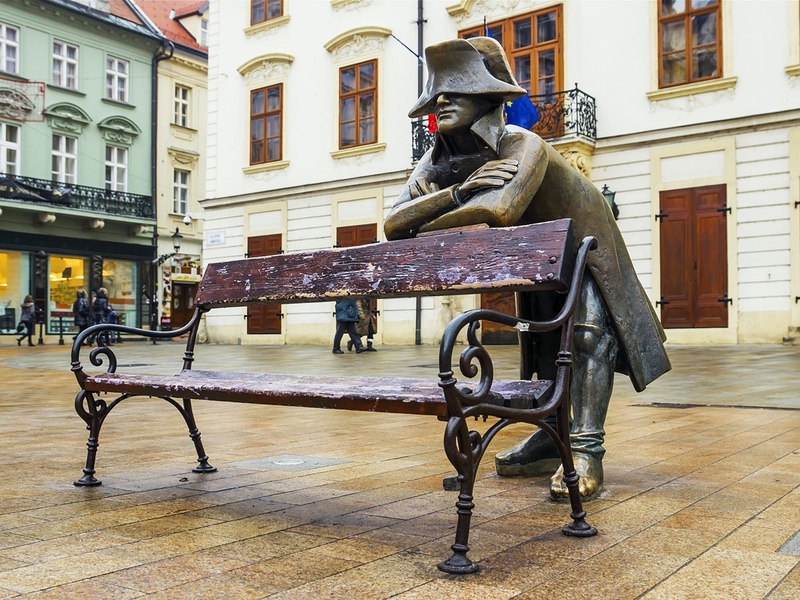 When visiting Bratislava, tourists often love to take photos with sculptures and statues around the city. The first one on the list is located on Hlavné námestie square and it is called Napoleónec. It’s a statue of Napoleonic soldier which was sculptured to commemorate the siege of the city that occured in 1805 and 1809. However, probably the most photographed and most unusual is the famous Čumil – a bronze man figure popping out of a manhole and it was installed in 1997 to bring some liveliness into the neighbourhood which at that time still had the look of Communist era. The third statue is located at Rybná brána and it is dedicated to one of the famous local eccentrics who went by the name “Schöner Náci”. He was a local entertainer who lived in Bratislava during the first half of past century. His kindness and positive energy always brought smiles to people’s faces, so, to honor him, the city decided to give him his own statue. The Church of St. Elizabeth is definitely among the most iconic monuments of Bratislava, due to its specific Art Nouveau style. The entire church has blue façade which will amaze even those who are not that into art and architecture. According to the legend, St. Elizabeth was actually born in Bratislava in the 13th century and this church was built in her honor. The inside of the church is also decorated with blue details – blue benches, wall mosaics and windows. 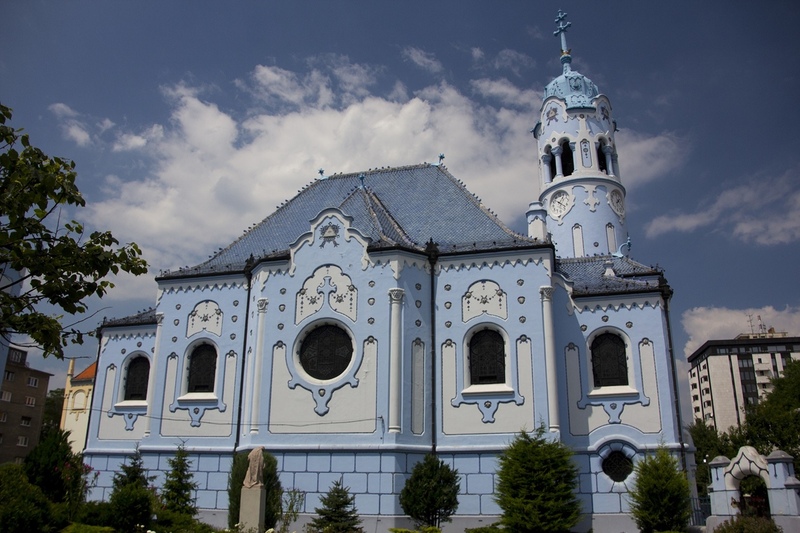 The Blue Church is located in the Old Town, in Bezručova street.